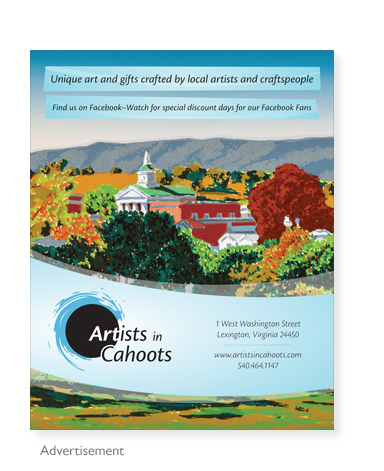 Artists in Cahoots is a cooperative gallery located in historic, downtown Lexington, Virginia. The diversity and uniqueness of the hand-crafted work has made the gallery a common destination for its customers over the past 30 years. 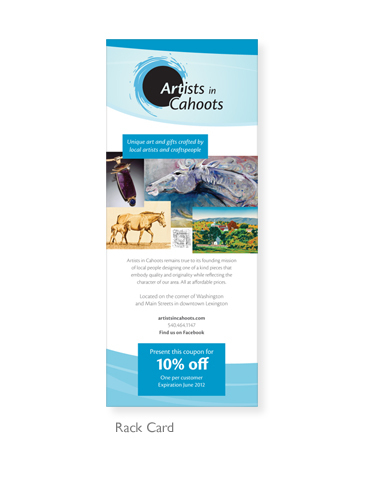 The gallery's success is not only due to the high quality of work but also to the impressive cooperation amongst its members. 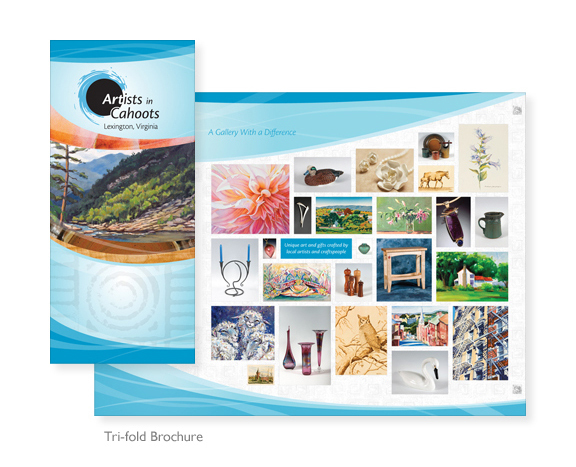 Artists in Cahoots asked JJS Design to redesign its logo and overall branding. For coop owners, inclusiveness was the most important theme being that the gallery's artwork includes a wide variety of mediums and styles. 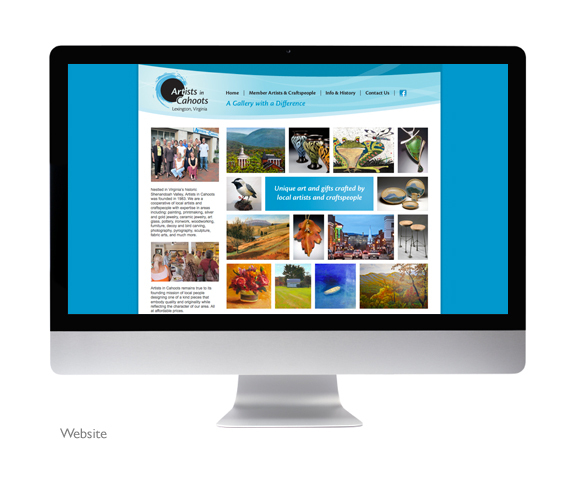 A solid circle was used as unifying symbol of the coop while also highlighting the word "Art." A blue brush stroke was incorporated to represent creativity and to compliment the brush-stroke based typeface. As an extension of the logo concept, curving elements were incorporated throughout the collateral to achieve the feeling of creative flow.